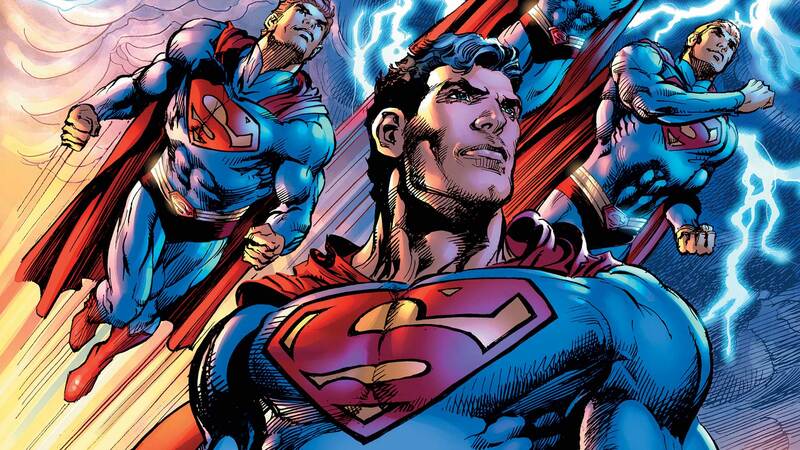 The first issue of Neal Adams’ highly anticipated new miniseries, SUPERMAN: THE COMING OF THE SUPERMEN, flies into comic stores this Wednesday and folks around here are pretty excited about it. Why? Well, it’s the first of six issues written and drawn by a true comic book legend, it involves a mysterious and surprising plot centered around Darkseid and the forces of Apokolips and it features not one, but four different Supermen! Combine The Coming of the Supermen with all of the amazing Neal Adams variant covers that we’ve been releasing this month, and it’s a great time to be a fan of the man behind some of the most revered and influential comics in our company’s history. But what if you’re new to Adams’ work? What if you…don’t know who he is? Well, if that’s you, there’s nothing to be ashamed of. This is a no judging zone. (We mean that, commenters!) Most of the comics that Adams is known for came out well over 30 years ago, and if you’re a newer fan, you might not have heard of them. Fortunately, our good friend Comicstorian has you covered. He’s assembled a brief primer on Neal Adams’ DC Comics work that debuted this very morning on our new DC Fans channel. Take a look! Trust us, those Green Lantern/Green Arrow comics are amazing, and if you’ve never read them, you’re in luck. Those stories along with many of Neal’s other classic books will be available digitally for up to 50% off as part of our weeklong Neal Adams Digital Comic Sale. Look for the sale in the DC Digital Comics Store starting tomorrow, February 23rd, and be sure to grab SUPERMAN: THE COMING OF THE SUPERMEN #1 when it hits stores on Wednesday!